Yakima, Washington (findit) December 13, 2017 - Parry Jewelers now invites all their customers to explore the new exquisite designer collection of engagement rings. They believe every couple deserves something unique and perfect to reflect their love. That's why they spend hours - and sometimes days - creating each and every ring by hand. Rated as the No. 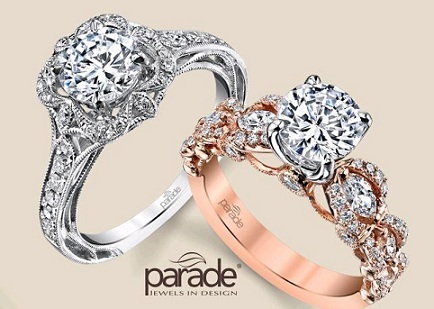 1 jewelry store in Yakima WA, Parry Jewelers features a designer collection of engagement rings from many of the top designer jewelry manufacturers like Parade Design, A. Jaffe, Gabriel & Company, Venetti, Valina, Diadori, Gelin Abaci and more. All their jewelry is made to last a lifetime, which makes Parry Jewelers, the best place to buy engagement rings Yakima. These are made with the intention of providing customers with fashionable pieces at affordable prices. The spokesperson stated, "Our fine collection of engagement rings consists of unique designs that are individually tailored to create a one-of-a-kind heirloom, a piece of art that mirrors what is uniquely yours." When it comes to engagement rings, Parry Jewelers is really on top of the list. The way that they create their rings is superb and makes it stand out from the rest. Customers choose this shop because of how hard the shop works on making the jewelry to be one of a kind and special for the customers. The work is professionally done and will surely be loved by the people whom the rings are given to. While explaining their custom design process, the spokesperson clearly expressed his thought as follows, "When it comes to custom design, we have worked hard to develop a reputation for unique and distinctive jewelry. If a client does not find exactly what he or she is looking for within the exclusive jewelry collections on display, or if a client wishes to redesign that out-dated or worn-out piece of jewelry into something new and exciting, our professional staff will help design that special one-of-a-kind piece!" 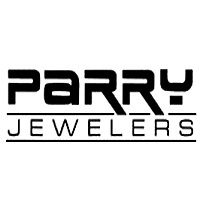 Apart from the above mentioned, Parry Jewelers, the best jewelry store in Yakima, WA also specializes in offering: jewelry appraisals, jewelry insurance, engraving, pearl/beard stringing, and jewelry repairs. The media person stated, "Don't hesitate when deciding who to trust with your precious creation. We aren't satisfied unless you are! Let us help you design exactly what you envision or even bring your masterpiece to life!"